Below you fill find all funeral homes and cemeteries in or near New Oxford. New Oxford is also known as: Adams County / New Oxford borough. Zip codes in the city: 17350. Some of the notable people born here have been: (erik harris), (bull durham (pitcher)), and (joseph h. himes). New Oxford is a borough in Adams County, Pennsylvania, United States . It was originally platted in 1792 for Henry Kuhn by James Bolton and identified as "Oxford town" due to the presence of a nearby stream ford and a local establishment named "Dutch Frederick's stand" with the head of an ox on the front of the building. This was changed again in 1822 by the town's first postmaster, Dr. Pfeiffer to "New Oxford". New Oxford was incorporated as borough in August 20, 1874 and Joseph S. Gitt was elected as its first president and then served as secretary thru 1891. In 1886, the population was 209 with 67 horses,40 cows, 65 "pleasure carriages" and 14 gold watches.The population was 1,783 at the 2010 census. Within New Oxford there are several large manufacturing plants. Among these are Winter Gardens, which manufactures products such as chicken salad; Yazoo Mills, which manufactures paper products; Pilgrim's Pride, which processes turkeys; and Aero Energy, which refurbishes propane and C02 containers for Blue Rhino. New Oxford is also a popular location for many antique shops, and is a destination for antique enthusiasts. It was reported on September 20th, 2018 that Rose Mary Warnell (Taphorn) perished in New Oxford, Pennsylvania. Ms. Warnell was 90 years old and was born in Cincinnati, OH. Send flowers to express your sympathy and honor Rose Mary's life. It was revealed on September 8th, 2018 that Rufus Staples Hendon perished in New Oxford, Pennsylvania. Hendon was 98 years old and was born in Pensacola, FL. Send flowers to express your sorrow and honor Rufus Staples's life. It was noted on October 18th, 2017 that Hazel Virginia Dilley passed on in New Oxford, Pennsylvania. Dilley was 81 years old and was born in Ivanhoe, VA. Send flowers to express your sorrow and honor Hazel Virginia's life. It was noted on August 16th, 2017 that John Hutchins Jr Tanner passed away in New Oxford, Pennsylvania. Tanner was 68 years old and was born in Washington, DC. Send flowers to express your sympathy and honor John Hutchins Jr's life. It was noted by Johnstown Tribune-Democrat on October 16th, 2015 that Donald John Frye passed away in New Oxford, Pennsylvania. Frye was 87 years old. Send flowers to express your sorrow and honor Donald John's life. It was disclosed on September 12th, 2015 that Doreen Ryan (Javery) passed on in New Oxford, Pennsylvania. Ms. Ryan was 88 years old and was born in Proctor, VT. Send flowers to express your sorrow and honor Doreen's life. It was written on February 19th, 2015 that Clifford J Friend passed away in New Oxford, Pennsylvania. Friend was 69 years old. Send flowers to share your condolences and honor Clifford J's life. It was noted by Worcester Telegram & Gazette on September 10th, 2014 that Kenneth A "Ken" Ecker passed away in West Boylston, Massachusetts. Ecker was 78 years old and was born in New Oxford, PA. Send flowers to share your condolences and honor Kenneth A "Ken"'s life. It was noted by The Sentinel on May 16th, 2014 that Martha E Cramer (Books) passed on in New Oxford, Pennsylvania. Ms. Cramer was 86 years old. Send flowers to express your sympathy and honor Martha E's life. It was reported by Johnstown Tribune-Democrat on April 29th, 2014 that Virginia T Shuster (Novak) died in New Oxford, Pennsylvania. Ms. Shuster was 75 years old. Send flowers to express your sympathy and honor Virginia T's life. New Oxford is located at (39.863208, -77.056475) . . . . . Listing all funeral homes in New Oxford, Pennsylvania so you can easily send flowers to any location (same day delivery) or find any funeral service. 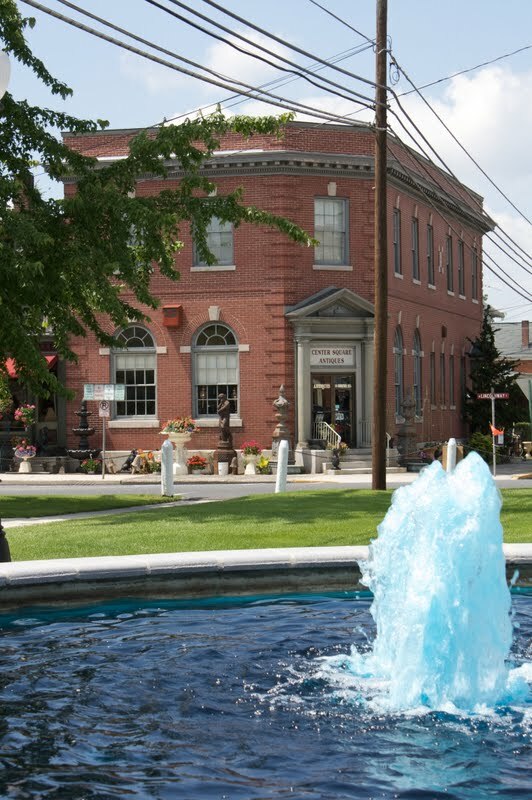 Find florists & Florists in New Oxford, PA. Read business reviews, find driving directions, and more. florists on YP.COM. We work with local florists and flower shops to offer same day delivery. You will find budget sympathy flowers in New Oxford here. Our funeral flowers are cheap in price but not in value.